The First Justice Nagendra Singh International Peace Award established by the International Goodwill Society of India (IGSI), a non-political, social and scholastic association, which claims its target is to accomplish a worldwide development and arousing for an aggregate atomic boycott and restoration of ancient Indian social legacy was given to Justice Dalveer Bhandari by the Vice President of India Hamid Ansari on December 8, 2014. Presenting the award that consisted of a citation and a shawl, the Vice President said, "Justice Bhandari is a deserving torch bearer of Dr Nagendra Singh's rich legacy." He added, "His work, as part of the higher judiciary in our country for over two decades, speaks for itself. However, a few of our judges have had the opportunity to make their mark in the international arena. Justice Bhandari is amongst the selected few. His presence on the ICJ is a matter of pride for all of us." Accepting the award, Justice Bhanari said, he was "overwhelmed and felt very humbled" to receive the award. He also highlighted that Justice Nagendra Singh was the only Indianwho got full tenure at the International Court of Justice in Hague and served as its President. He was also the Founder President of International Goodwill Society. Justice Bhandari also said, "Such is the role of the ICJ in building and maintaining peace and justice in the world. The threat to peace is so imminent that UN agencies alone cannot ensure peace and security. Efforts has to be made by all individuals and countries together. Some countries now have nuclear weapons and we have to be extremely vigilant to ensure peace is maintained all over the world." The award was presented on birth centenary of Justice Nagendra Singh. 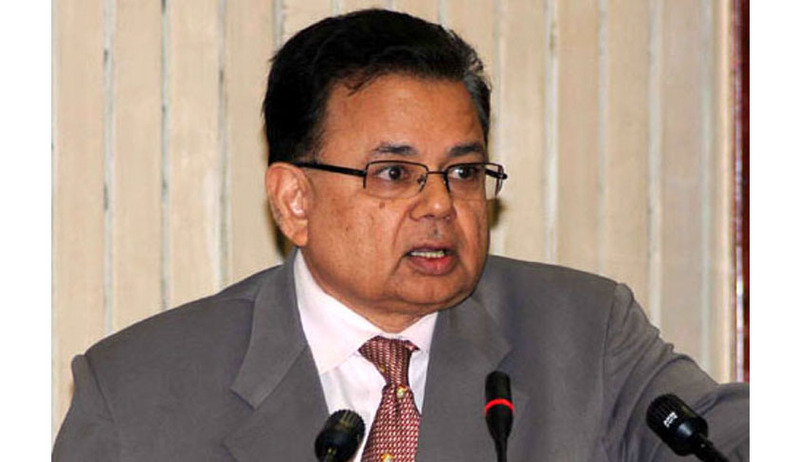 Justice Dalveer Bhandari was a judge at the Supreme Court of India and was elected to the International Court of Justice, where he is serving a term until 2018.